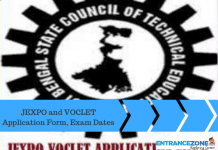 BITSAT 2019 Application form for B.Tech / B.Pharm. Admission to Pilani, Goa and Hyderabad campuses has been released by BITS Pilani on 05 January 2019. Birla Institute of Technology & Science Admission Test, commonly known as BITSAT 2019 is a University Level Examination. Candidates must check the eligibility for the BITSAT Online Test before applying for the same. Birla Institute of Technology & Science (BITS), Pilani is a leading Institute of Higher Education and a deemed University in India. It offers Degree Programmes in Engineering, Sciences, Technology, Pharmacy, Management and Humanities. This article will give proper insight regarding how to fill the application form including other necessary details. The Application form link is provided at the end of this article. Candidates can find all updated dates at BITSAT official website. BITSAT 2019 Application form for B.Tech admission to Pilani, Goa and Hyderabad campuses is available on the BITSAT Official Website from 05 January 2019. The last date for submitting BITS, Pilani application form is 31 March 2019 by 05:00 pm. A separate Application form for B.Pharma course is available. And Candidates should fill the B.Pharma Application form separately. Now click on “Apply for BITSAT 2019” to begin the process. Candidates are advised to go through the instructions carefully. Then, Click on “Apply Online”. 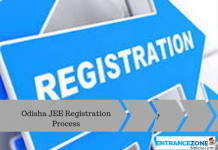 Candidates will need to provide the basic details for Registering online then “Proceed” button should be clicked. 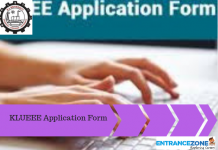 Here applicant should enter the required details such as Name, DOB, Marks, test centre options etc with utmost care. Press the “Submit” button after completion. At last candidates need to pay the fee using either net banking/credit card/debit card or Bank Challan method. Yet, after submission of a form, please keep a printout of application form safely till the admission process is on. It will be required during the later stages of the admission process. Finally, No need of sending the filled in Application form through the post. The BITSAT Application fee is Rs. 3150/- (For Male candidates) and Rs. 2650/- (for Female candidates). Candidates can remit the fee via online such as Banking/Debit Card/Credit Card and offline methods as e-Challan etc. “If an Applicant has made multiple payments for a single BITSAT Application and because of connection error or any payment failure issue. The applicant can provide details for refund claim (if any). The exam conducting body (BITs Pilani) provides applicants with a chance to edit the submitted BITSAT Online Application Form (if any error is present). Candidates can make the corrections between 22 – 25 March 2019. Only the Candidates who have completed the form in all regards including the fee payment will be allowed to do the correction in their form. Also, the candidates Mobile Number. 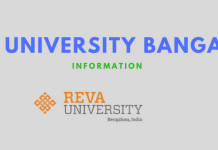 Details of Net Banking/Credit Card/Debit Card. The university will also conduct slot booking where candidates can choose their choice of exam centre. Candidates can log in and fill their choices once the Slot booking will start. Slot booking will be started from 28 March- 08 April 2019. The exam will be organized in two slots a day. The first slot will be from 9.00am to 12.00noon and the second slot will be from 2.00pm to 5.00pm. Candidates can select any one out of these two slots based on the availability. More details will be available on the admission website of BITS i.e. bitsadmission.com/. Firstly, candidates should have passed 10+2 (Class 12th) from a Recognised Board (Central or State). Also, candidates must have scored an aggregate of 75% in Physics, Chemistry, and Mathematics.